Monthly allowance to the poor is one thing the government was mulling over for quite long. It is not predicted that on 1st February 2017 the government may announce a new scheme that is aimed towards the poor. The main idea is to address poverty and the scheme is still under discussion. But if it is finalized then the chances are more that it will be announced in the budget on 1st Feb by Finance minister Arun Jaitley. The government might offer Rs. 1500 per month to approximately 200 million people. This would cost the government something around Rs. 3 lakh crore. This will be a National Social Security Scheme that will be announced especially for the poverty stricken. It will be a step to empower the unemployed citizens of the nation. It will be a Universal basic income which will be targeted only towards the highly needy ones. So even if you are unemployed it might not cover you solely based on that. The Vice President of NITI Aayog earlier said that he is in favor of a targeted benefit rather than universal benefits. This would impact the nation at large. He also suggested that the money transfer should be made to the woman of the family. This way it will be ensured that the family runs smoothly and the money is allotted in good hands. However the government will analyze the scheme and find out its advantages and disadvantages before coming to a solution. The scheme needs to be implemented in much focused areas because there are many truly underprivileged while there are people who would be hardly qualified as unemployed. There are also issues that need to be addressed regarding its implementation. The fiscal deficit of the country will be taken into account as well while making a decision whether this scheme should be put in place or not. 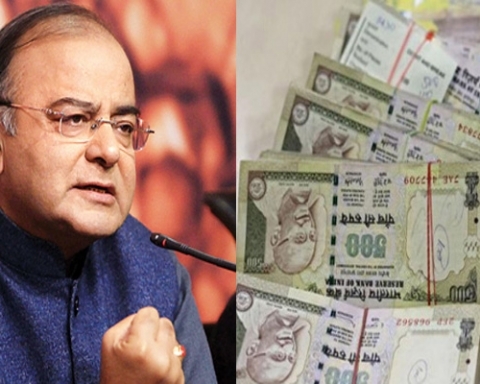 The government is trying to lower the fiscal deficit by 3 per cent in the year 2018. This means that they will have to cut down on budgets. However if they implement this scheme then it will not be possible. This is why the scheme, although implemented, might be addressed to a very few section of the society.